It is well known that British and American English differ substantially in their pronunciation and vocabulary - but differences in their grammar have largely been underestimated. 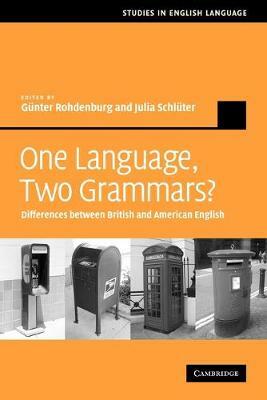 This volume focuses on British-American differences in the structure of words and sentences and supports them with computer-aided studies of large text collections. Present-day as well as earlier forms of the two varieties are included in the analyses. 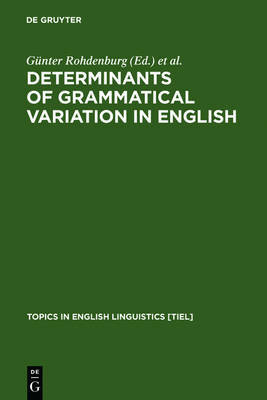 This makes it the first book-length treatment of British and American English grammar in contrast, with topics ranging from compound verbs to word order differences and tag questions. The authors explore some of the better-known contrasts, as well as a great variety of innovative themes that have so far received little or no consideration. Bringing together the work of a team of leading scholars in the field, this book will be of interest to those working within the fields of English historical linguistics, language variation and change, and dialectology. Buy One Language, Two Grammars? by Gunter Rohdenburg from Australia's Online Independent Bookstore, Boomerang Books. Gunter Rohdenburg is Professor Emeritus of English Linguistics in the Department of English and American Studies at the University of Paderborn. Julia Schluter is Assistant Professor in English Linguistics and Language History at the University of Bamberg.